If you’re brand new to recording and are a singer-songwriter, then this is the post for you! When it comes to digital recording these days you need a few components, but with so many to choose from it can be overwhelming. Let me help make things super simple for you by outlining two complete studio options for you that will get you up and running with your music making in no time! Presonus makes a fantastic line of audio interfaces, mic pres, and live mixing consoles and have recently had some great success with their launch of Studio One, their very own DAW (Digital Audio Workstation) recording software. The combination is a killer deal. The core of this studio is the rugged and great sounding AudioBox USB 2 channel interface ($99). It comes with two mic pres and zero latency monitoring on board. The final and most important piece of the PreSonus studio puzzle is the included Studio One Artist recording software. This is a completely pro DAW that boasts unlimited tracks, professional mixing effects/plugins, built in loops and virtual instruments, and awesome drag-and-drop functionality. Once you open it up and get a bit more familiar with the software you can honestly be recording, editing, and mixing great sounding tracks in no time. Another fantastic (and even cheaper option) is the Scarlett Solo Studio Pack from Focusrite. This package centers around another two channel USB interface (although with only one mic preamp), the Sclarlett Solo and ships with a studio mic, pair of studio headphones, and a mic cable. All for $199 US! The remaining hardware would be a mic stand and pop filter (see above). On the software side of things – this bundle ships with a light version of Cubase, a very main stream DAW, that will work just as well as Studio One Artist. Again, you get a feature rich DAW with pro plugins for both recording and mixing, all inside the box. No other software needed. And the great thing about a DAW like Cubase is the user base is huge, so you are not lacking for online training content and help. With either of these studios you aren’t limited to just the DAWs that shipped with them. In fact you are open to many free and paid options. On the free side of things, if you are a Mac user, look no further than the DAW that shipped with your computer: Garageband. This piece of software is absolutely no joke and can be a legit home studio platform contender. It was crazy good 5 years ago, and it’s even better today. Also, coming very soon is the a brand new FREE version of Pro Tools (my platform of choice) called Pro Tools First. This gives everyone a chance to record, edit, mix, and master their music on one of the world’s most well known software platforms. No iLok is required and it runs on Mac or PC. I’ve written about it in my eBook, but I’ll say it again. Keeping things simple is super important. Having a few quality components, learning them well, and jumping in are what a new comer to recording needs. The above two studio options are simple and affordable. But they are powerful! Don’t be fooled into thinking you need anything more than this to make killer music in your home studio. Grab up the basic gear you need, learn the craft, fight the myths, and just get to making music. You’ll be glad you did. I have actually owned both of these interfaces, though not used any of the other portions – I started with the Fast Track mk II (which is the interface included with the Avid studio) and it was nice and I used it for a solid year, but I had a desire to record guitar tracks and a piano in stereo, so I picked up the AudioBox USB. They both sound great and they’re both inexpensive, and the best part is they’re easy to use. Input and output knobs and phantom power switches and that’s about it. The Presonus has a nice “mixer” knob to balance playback from your DAW with what you’re recording so you can be sure you’re hearing yourself well. In both cases I’ve used the included software, though at the time Pro Tools included with the Fast Track was PT8 M-Powered Essential. It had almost NONE of the great tools PT is known for – nearly everything on the menu had a little Digidesign logo next to it indicating that I should “Step up” to PT M-Powered. So I bought Sonar Home Studio instead and while it’s a pain, at least it works and it doesn’t try to upsell me in-app. Plus it was cheap, I got it for $100. Not sure I’d make that choice again, though I stuck with it. The Studio One Artist software on the other hand is FANTASTIC. It doesn’t support VST plugins, but neither does Pro Tools, and the included instruments are very good. I’ve found that since I got the Audio Box I’ve recorded more in Studio One Artist than I have in Sonar. There was so very little learning curve outside of a new hotkey setup, and everything in the browser is drag-and-drop. If I want to add a new instrument track I just drag it from the browser into an empty space in my track, and I’m read to record MIDI. If I want to use a loop, I drag it into an empty part of the track and it creates a new audio track for my drum loop. Personally if I were in a position where I had to start over with absolutely no gear, I’d buy the One Box. The included software is really easy and the interface is great. The mic looks like any number of the famous $100 large diaphragm mics, and the headphones are probably suitable for tracking at least. Plus you can get it for as little as $220 from Musician’s Friend. Sweetwater is my preference but they don’t seem to carry it. Enough rambling, just know that from someone who’s used both of these options, they really do sound good. Hopefully PT SE is closer to PT LE than PT M-Powered Essentials was, because it was little more than demo-ware. PreSonus Studio One Artist actually hosts a very select few vst plugins. The names are, I think, reaktor and guitar rig or whatever PreSonus bundles with Artist. Anyways, you can rename four of your favorite plugins to the name of the bundled plugins and it will recognize them! Just four plugins might be invaluable to some who are just starting out, so this could be really helpful. Mr. B – Great comment. Pro Tools SE is better than Essentials was. But to be sure it’s a limited version. Glad you’re digging Studio One. It’s a great piece of software. I really enjoyed this article. I think that for the most part, many of your readers are hobbyist like myself and tend to get caught up in GAS. Unfortunately, I am one of them. There is so much you can do to get your music recorded with minimal investment. For the beginner and the hobbyist, focusing on learning the tools (Mic Placement, Mixing, and FINISHING) is far more important than the hours and money spent on gear. I look back at the year that I have dedicated to learning recording, the countless dollars spent on gear, and kinda wish I had found an option like the ones you described before undertaking this venture. 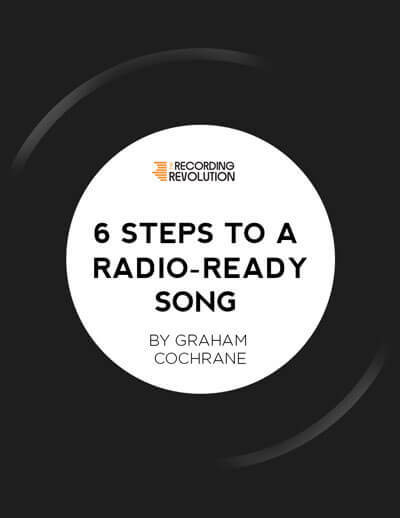 Graham- have you used the Studio One software? I am trying to set up a friend to do some guitar tracks for me. He is using GarageBand but is having trouble exporting full-resolution tracks for me. Do you know if SOA has this ability? Ir seems like a great box and software, but that would be a deal killer. Toby – Yes, I have Studio One. You can easily export high res wav files for import into any DAW. Hello and thank you for the information. It appears that the image located in the box at the beginning of the article is not being rendered properly. Have tried loading the page in several browsers. Just my 2 cents. I recently got MobilPre with included Pro Tools SE as I want to be able to do more “at home”. The MobilPre will not install on my PC with Windows 7. So,back to the drawing board. After doing quite a bit of research ( I am a full time player and don’t have too much time for all this), I am going to swap it out and add a few more bucks to acquire the Prosonus 2X2 USB ( a higher quality unit than MobilePre) with Studio One DAW. It has a few plug ins within the Interface unit allowing some reverb and so forth while you are recording. Check out all of the YouTube info one Studio One. Although I am not really into recording as much as I am writing and performing, it seems that Prosonus has really put together a great high quality unit along with full functioning very capable software, not a “demo”. I have a Korg D-1600 that does an excellent job as well. I record in professional studios with very high end gear that I can’t pronounce with people who know they’re stuff. I have just for fun, put together a CD that has a few tracks from the studio and a few that I did with the Korg. Untrained ears have a difficult time telling the difference. If there was a way to connect the Korg to the computer, I wouldn’t be here. As I look at the MobilePre Box sitting here all packed up again waiting to go back to the Music Store. with Pro Tools SE inside I ask. Should I just keep working with the installation after all, Pro Tools is well, Pro Tools?? Nah.. Studio One. It is the future.. . . for me. Gabe? Small world! Fancy meeting you here! Great site eh? Thank you Graham for your hard work and sharing of knowledge. Since discovering your site, I have been sharing this resource with all of my music buddies, both personal and forum based. I have referred many newbies to this article, as I think it is spot on, but it may be time for a small update. Thanks again for your insights and enthusiasm. Thanks for the support and for sharing! Will have to update it for sure. Hello Graham. Since discovering your site, i,m getting so match tips from you,r video lessons.. Thank you so match. I have built my recording studio at home. All my walls are treated, and very soon I will be using the Arc System 2 to completely regulate the acoustics in my room. I have the focusrite red interface 2ins-2outs. It has very nice pre-amps. I have just compared it with the Universal Solo pre-amp, and to be honest, there is a difference, but not to much of it. The Focusrite for the price does a very close job to the Universal Solo. Focusrite for the buck (150 + tax) has very nice pre-amps. Basically what I am looking for is recording techniques. I need to learn more at a more professional level. I have some experience, but I need to learn more. Do you teach that???? I teach a lot about recording here on the site and in my tutorial products. Search around. By the way. I also use Cubase 6.5, and very soon I will be upgrading to 7. I also use the universal plugins. I like the reverbs, but not so much the EQs. I think the EQs still have ways to go. I think this plugins are not to close to the hardware. When I use the Neve EQ plugins, they are not as wonderful as they claim to be. I hope the end mastering makes the recording sound much better. Question: In order to get a good separation between tracks in the mix, would a better interface, such as the BabyFace RME do the job better than the focusrite. I think I will get a more clear sound for sure, but what about separation?? Separation and clarity in your tracks comes from mic placement (in recording) and EQ (in mixing). Not a new audio interface. I like both companies and have owned gear from both with great results. From what I’ve heard of it, it’s going to be equal quality. Hey Graham, can you link the headphones again? I guess the link is broken… I just want to know what was you suggestion. Cheers! Hey Graham, I was thinking about buying the mic Shure SM57. I play acoustic guitar and sing too. That mic is better that Samson C01 or the one in the firt box? Thanks, looking forward to hearing from you. Just as good. Just different sounding. My 13 year old daughter is a prolific singer-songwriter. She has recorded a couple of songs in a professional studio and would like to try her hand at home recording. Thanks for helping us sort through what she will need to buy. Before I go out and purchase anything, have any of your recommendations changed since you first posted the blog back in 2011? Thanks. Nope! The models might be slightly different, but both brands have basically the same type of package going on today. Focusrite iTrack Studio vs Presonus Audiobox Studio? I’ve the lastest iPad and was thinking about the first option. It allows me recording on iPad so I can record in anywhere. My pc is so much noisy, but Focusrite iTrack is compatible with pc too, so I’d have two in one. What do you think? The cuality of Presonus is better (mic, cables, interface…) than Focusrite or recording on iPad can be a good plus? I have gear from both companies and they are very reputable and quality. You should be good either way. I have a Tascam 2488 ( the original digital 24 track portastudio ). I would like to record songs (singer/songwriter – acoustic guitar, electric gtr & bass, “Light drums, and keyboard pads”) on it and export to a computer for mixing/editing. I plan to use some good quality mic’s , (outboard) preamps, compressor in my recordings. My question : A friend told me the A/D converters on the 2488 are not good, so instead of using my 2488, I should get into computer multitrack recording. He suggested I get a Mac, and an Apogee duet. Do you have any thoughts on what I could do ? I would really like to make these songs sound as good as I can make them sound. Hey Anton – On one hand I firmly believe that the converters on your Tascam won’t hold you back from making great recordings. On the other hand, it would be wise to get into computer multi-track recording for sure. The quality is amazing and the ease of use (editing, mixing) in the DAW trumps using a portastudio. Thanks so much for what you do, it’s already making a difference to me and I’ve only just discovered your site! I finished reading your eBook a few minutes ago and found my way to this blog post. I have a question: I need to upgrade my software because so far I’ve only been fiddling around on a very old version of Sonar LE which is extremely limited and out of date. I am interested in Pro Tools LE (I need something really affordable and I’ll be able to find Pro Tools tutorials on YouTube to help me), but I’m not sure if it’s still available. I went onto the Avid website, and it doesn’t seem to offer LE anymore. It seems the new equivalent is called Pro Tools First, but isn’t available yet. Am I missing something? What do you suggest? Oops, I see Pro Tools First is the basic free downloadable version. I’m not sure which is the LE equivalent! So Pro Tools LE is now just Pro Tools. It comes bundled with the Avid hardware like Mbox and Duet etc. Pro Tools FIRST will be a great option for many and it will actually be more like LE was back in the day. That doesn’t include the cost of the computer which would need to have enough processing power, RAM and decent soundcard (and noiseless) to work with the DAW and interface without crashing. It also doesn’t include the cost of musical instruments. My most expensive tool is my keyboard. I would also buy a better mic than that for a serious singer. Of all the tools, the singer’s mic setup is the most important. I had cheap mics and cheap interfaces and there were problems with noise and compatibility. Quality cables are important, too. Since I moved, I am investing in acoustic treatment for the room because it is just too live. Thanks for this, and other, articles Graham. Always a good read. One thing. For solo recordings or 1 man band, do you see any drawbacks of using CO 1U mic instead, the one with USB connector rather than XLR? This eliminates Presonus and studio one, and leaves you with GarageBand, making whole setup even cheaper. Also, plain CO1 is hard to get anymore where I live. CO3 I assume is as good I guess? Thanks and keep having fun. I prefer an audio interface so I can also connect guitars and bass direct if need be. Also, I think they have better converter and preamp than the built in USB mics. Anyone looking for a great DAW for small price, have look at Reaper. I used Cubase and Reason before but the awesome possibilities for customisation made me never look back. Give it a try. Never found a great DAW with super-easy customization. You can make Reaper as your personal DAW, just like you build house as comfortable as you want. It’s cheap and really generous for letting us use it freely as trial WITHOUT any limitations FOREVER! Unlimited track, dynamic split, super-easy routing, great simple VST pack, unlimited takes, unlimited FX, and what else? Thank you so much for this article. After reading it I purchased the PreSonus audiobox and downloaded Studio One artist 3. I do not have any other extra speakers other than my laptop and my tv, which I have the laptop hooked up to since my screen is broken on the laptop. When I record my voice with studio one and play it back, I get this horrible cracking sound/ diistortion. Do you know why? And if not do you know who I can turn to for help? I would really appreciate it! I think the Scarlett 2 channel version is perfect for you! also note that, I have a laptop with windows 8.1 which I’ll be using to connect with the Audio interface. According to my budget I can pick any one of the above Mic, and I can buy any of the audio interfaces mentioned above. Can you please suggest which one I need to go for now. Please note it is just for the VOICE (that too not for song), just like narrations or we can say voice over. From different forums, I understood that, XLR mics are the best over USB mics to get the maximum sound quality, and to reduce the hizzzzzing sound in vocals, which made me to look for a XLR based solution…. I had recently found an interest in recording music, and as an amateur, there were many topics that I didn’t have a full understanding of. And while searching my questions online, I stumbled upon your Youtube channel and book! I have found your videos and book very informative and helpful towards recording music! There are just so many different options of hardware to choose from, and your helpful advice and tips have made it a lot easier to make the right choices. Though, I still have a few questions. I’m currently trying to record a classical solo on grand piano, and I’ve been having trouble finding the right type of microphone and configuration for them. What kind of microphones should I use, and in what preferred configuration so I can obtain the best sound (using 2 microphones in stereo)? it produces amazing audio gear for amazing prices! Need to know up front what computer does this work with best.